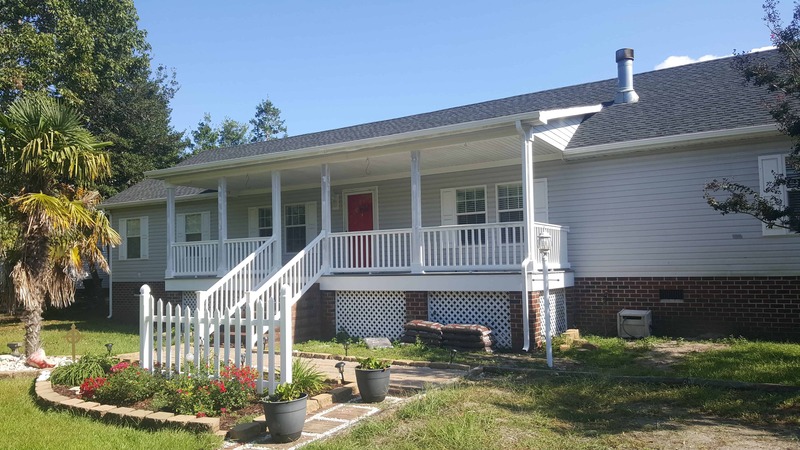 Outer Banks Gutters 1-800-653-9306 | Gallop Roofing & Remodeling, Inc. While the primary intent of gutters and downspouts is to move water from the roof, there is no reason why they cannot add prestige and charm to your property. Seamless gutters are available in two sizes/styles (5″ K-style and 6″ K-style) and a variety of colors. Our mobile Seamless Gutter Machine enables us to custom fabricate seamless aluminum gutter solutions for your home quickly and affordably because we can fabricate right on-site. 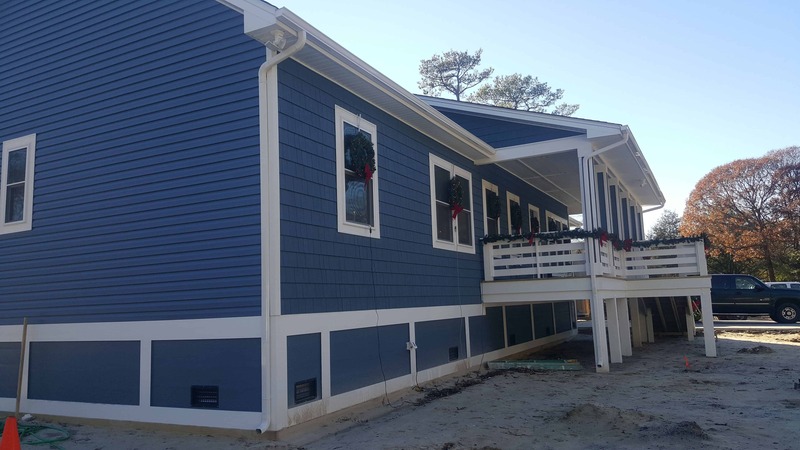 We install our seamless gutter with hidden hangers to provide a truly seamless appearance and most importantly to provide strength and durability that is so necessary on the Outer Banks. If you would like more information about seamless aluminum gutters, we would love to provide you with a Free No-Hassle Consultation and Written Quote. Half round gutter provides a more traditional style than the more common K-style gutter. It is available in a variety of colors and can be fabricated from copper, aluminum or steel. 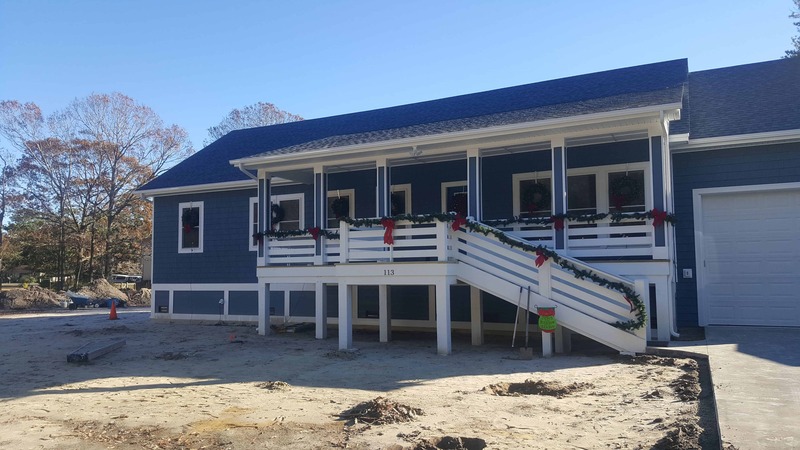 At Gallop Roofing & Remodeling, Inc. we are also able to custom fabricate commercial gutters from aluminum, steel and copper in our on-site sheet metal fabrication shop. When traditional 5k and 6k gutter systems are not the best solution for your project, we can customize a solution that will work for you. Custom fabricated gutter is available in a wide variety of colors. If you would like more information about custom fabricated gutters, we would love to provide you with a Free No-Hassle Consultation and Written Quote. What are the benefits of installing a gutter system on my home or business? Pre-fabricated gutters, often available for purchase at home improvement stores, come in 10-foot sections. In order to extend the entire length of the roof, these sections must be fastened together forming seams at each connection. These seams often leak and can cause blockages in your gutter system by catching leaves and debris. Seamless gutter is custom fabricated to eliminate any unnecessary seams and prevent leaking or blockages. Seamless aluminum gutter is also more durable than pre-fab gutter because it is fabricated from a heavier gauge material.